Bitcoin and most other major cryptocurrencies had a rough week. The week began with a massive selloff — dubbed a bloodbath — which was fueled by rumors out of Russia, South Korea, and China that their governments may further crack down on cryptocurrency exchanges and mining. Bitcoin was able to maintain its spot as the world’s largest cryptocurrency. 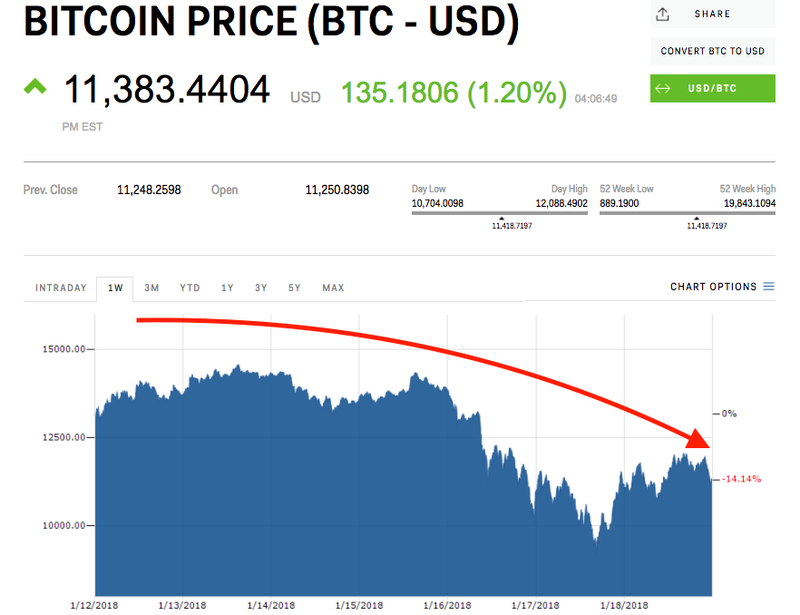 The flagship coin bottomed out below $10,000 — a milestone it crossed in November — before climbing back above $11,000. It’s set to remain roughly 14% down Friday evening.